NekNomination may be one of the most dangerous and daring drinking games currently in existence. The scariest thing is that this drinking game is done online via video, so it is not just a small group of people who are at risk for hospitalization, but possibly hundreds or thousands of people. This game goes by various names, NekNominate, Neck and Nominate or Neck Nomination and has spread across the world ever since the first video was uploaded. NekNomination involves people recording themselves with their laptop or their cell phone, rapidly drinking an excessive amount of alcohol after which they nominate a friend to outdo them in 24 hours. This nominee passes the drinking game on to the next person who passes the game to the next person until a growing chain of people spreads across the internet. While drinking a lot of beer may be common in many drinking games, in some cases the nominee of this game is expected to drink half or sometimes an entire liquor bottle and then that person expects the next nominee to top that. The problem with this is that liquor is far more toxic than a standard beer due to liquor’s higher concentration of 35-45% alcohol content compared to 3-7% alcohol content found in a standard beer. Topping the person who nominated you means drinking more alcohol with greater potency, all the while performing an illegal or embarrassing act on camera to raise the stakes. Many may get humor from this, but unfortunately these types of acts place nominees at risk. On the other hand, to not go through with the challenge could mean ridicule and name-calling. How Did NekNomination Get Started? NekNominatation is rumored to have started in Australia after which it spread to other countries between 2013 and 2014. We all know how fast trends can spread online, so this is no surprise and may remind some of the ice bucket challenge that went viral a few years back. It is not uncommon for social trends like these to spread like wildfire because following the trend means feeling like you are part of something bigger and that means feeling a strong sense of acceptance amongst peers. To understand why this drinking game poses more harm than good and why most people who partake in the game often need immediate alcohol intervention afterwards, it is helpful to examine what happens to the mind and body at each level of Blood Alcohol Concentration (BAC). When someone first starts drinking, it usually takes about 20-30 minutes for the alcohol to start kicking in, unless one is doing shots, which tend to work faster. By the time BAC reaches 0.05%, the individual will start feeling relaxed and sleepy with temporary impairments in memory, attention, and balance. At a BAC of 0.06%-0.15%, aggression may start showing as inhibitions begin decreasing and memory grows weaker. They may walk crookedly, slur their speech, forget things they just said, and zone out multiple times. 0.16%-0.30% BAC is when things start taking a heavy toll on the mind and drinking starts becoming unpleasant instead of fun. Most cognitive functions are significantly impaired, driving is close to impossible, judgments are impaired, amnesia occurs with blackouts, and at the extreme end, the person may fall unconscious. Usually people throw up at this point because the body knows how much it can handle. Although some still manage to make it to a BAC of 0.31%-0.45% in which going unconscious is imminent along with a strong possibility of death. Since NekNomination involves such an excessive amount of alcohol to be consumed in a short period of time and requires that a second person has to top this to win the challenge, this drinking game comes with strong risks of severe damage to the body and death. Statistics show that individuals who play this game end up in hospitals in life threatening conditions. 44.2% needed immediate medical help, 4.4% were moved to a medical observation ward and most startling, 47% of those aged 15-16 required immediate alcohol intervention and were hospitalized. 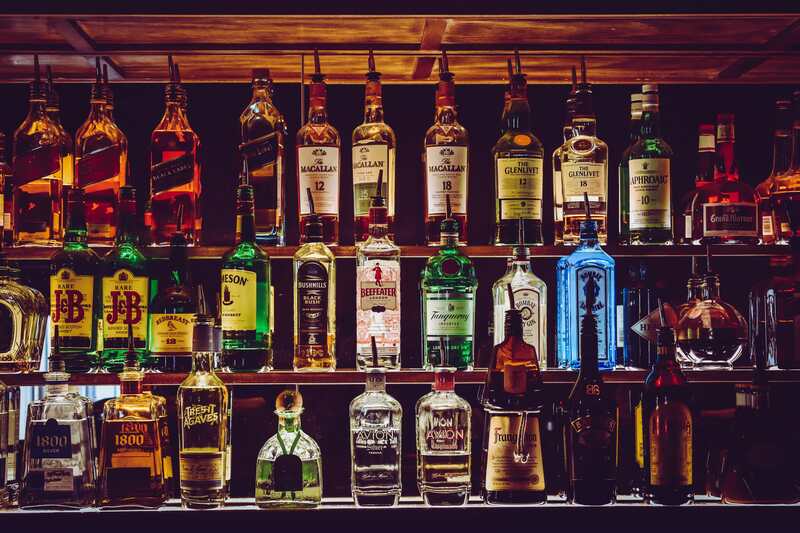 Studies indicate that drinking an excessive amount of alcohol in short period of time can lead to stroke, hypertension, irregular heartbeat, and stretching of the heart muscle. Heavy drinking also damages the liver in a variety of ways which can lead to cirrhosis and brain impairments. Research says that an effective alcohol intervention to prevent these types of drinking games from harming players, more work needs to be done to spread awareness of the dangers of such behavior. NekNomination has died out in recent years, but some believe it may still be active in private social networks like Snapchat. Communication about these issues, whether it be in school, online, at home, or through public service announcements, certainly helps to spread awareness. No one wants to die or damage their body, but often social situations and being in the moment of things can blind people to the underlying risks of what they are about to do. Alcoholism damages one’s reputation and relationships with friends and family. 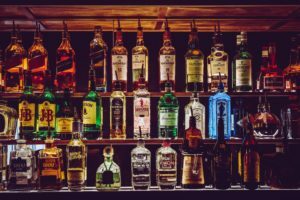 Most people do not make it a life goal to become an alcoholic, but unfortunately a mixture of genetics, epigenetics, and situations like the drinking game discussed here can lead to an addiction if not kept in check. Moderation is a fair way to avoid this risk but if it’s too late, alcohol recovery programs can also help. Facing alcoholism alone is not easy for anyone because alcohol can take hold of the mind in such a way that logical decision-making becomes impaired. Get control over your life again and let us help you escape the addiction so you can get back to the way things were before. There are a variety of alcohol recovery programs out there with various forms of treatment. The Recover is an unbiased substance abuse and mental health news provider that helps people who are looking for the right treatment programs in their area. We also provide information on West Virginia centers for addiction recovery. Call us at (888) 510-3898 to speak with a treatment specialist who will be able to help you find the right alcohol recovery program for your personal needs and situation. Tags: alcohol interventionalcohol recovery programsHow Did NekNomination Get Started?How to End the Dangers of AlcoholLife-threatening Aspects of NekNominationNekNominationNekNomination: A Life Threatening New Drinking GameStages of BACWhat is NekNomination?